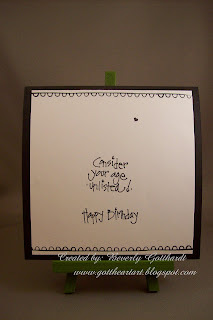 Supplies: 5 1/4" Black Card Blank, Papers: Stampin Up-Whisper White, Basic Black, DCWV-Black & White Mat Stack, Stamps: Just For Fun-CB9003 Background, PrintWorks-Qoo2 Great Birthday, Hampton Art-Happy Birthday, Ink: Ranger Archival Ink-Jet Black, Hot Off The Press-Music Note Brads, JoAnn's-Metallic Dots, pop dots. 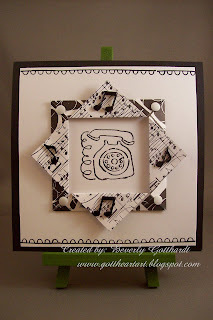 What a beautiful b&w card - you have done a super job ! Love this Bev - saw when I popped over to take a look at your snowflakes. love this card--and I don't see why it would have to be for a man--lots of us ladies like unlisted ages as well LOL! 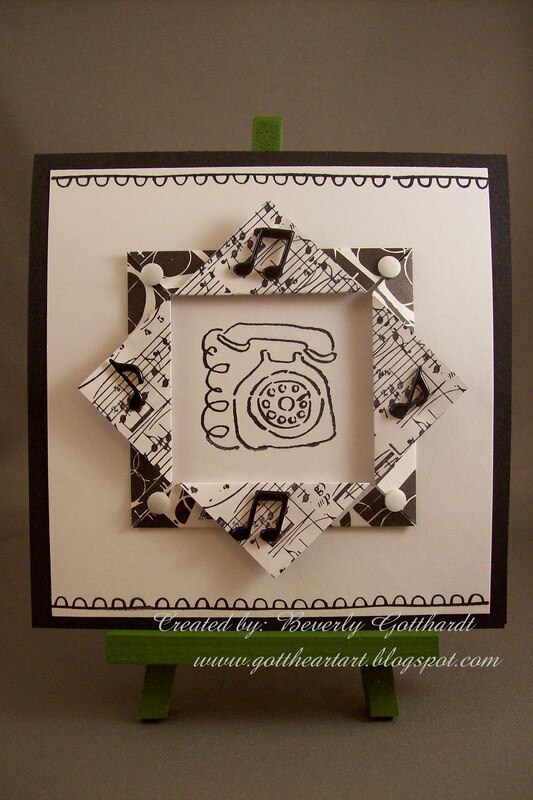 Bev, this card is awesome. I love the phone and the sentiment is too cute! How cute is this - what a neat idea!